THE steady increase of copper price on the London Metal Exchange (LME) has resulted in Zambia recording an increase in the export value of metals from about K5.6 billion in January to almost K6.1 billion in February. 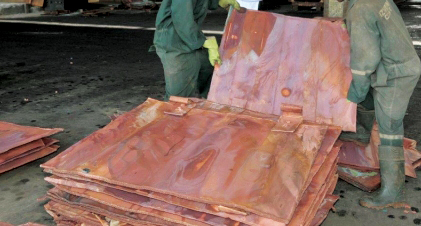 Copper is Zambiaâ€™s major export earner has maintained its steadier trend on the global market, with the prices going at US$5,737 per tonne and US$5,941 per tonne, respectively, from last yearâ€™s lowest of US$4,800. â€œThere has been a marginal increase of 9.2 percent in the total value of metal exports from K5,586.2 million in January 2017 to K6,101.3 million in February 2017. A steady increase was noted from November 2016 to February 2017,â€ CSO director of census and statistics John Kalumbi said this at a press briefing last week. He also said the volume of copper exhibited a fluctuating trend between January 2016 and February 2017, with the highest volume of 106,032.43 tonnes recorded in February and lowest volume of 65,633.3 tonnes recorded in August 2016. 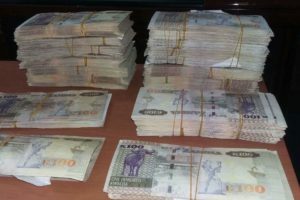 Similarly, there has been an increase in the export of non-traditional exports (NTEs) from about K1.2 billion in January to K1.5 billion in February. Mr Kalumbi said NTEs recorded an average of 18.9 percent in revenue earning between February and January 2017.
â€œNTEs increased by 23.5 percent from K1,216.5 million in January 2017 to K1,502.3 million in February ,â€ he said. 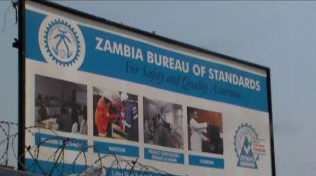 Zambiaâ€™s major NTEs exports in February were mineral substances accounting for 15.8 percent, wire of refined copper, maximum cross-sectional dimension, bullion semi-manufactured forms, new stamps, stamp-impressed paper, cheque forms, banknotes, postage, revenue stamp, which collectively accounted for 15.5 percent among others. On Zambiaâ€™s major export destinations, Switzerland has maintained its position accounting for 48.8 percent followed by China, which accounted for 22.3 percent, and Singapore was third at 5.6 percent. India and the Democratic Republic of Congo contributed 5.4 percent and 4.5 percent, respectively.